This post is an extension of previous one. 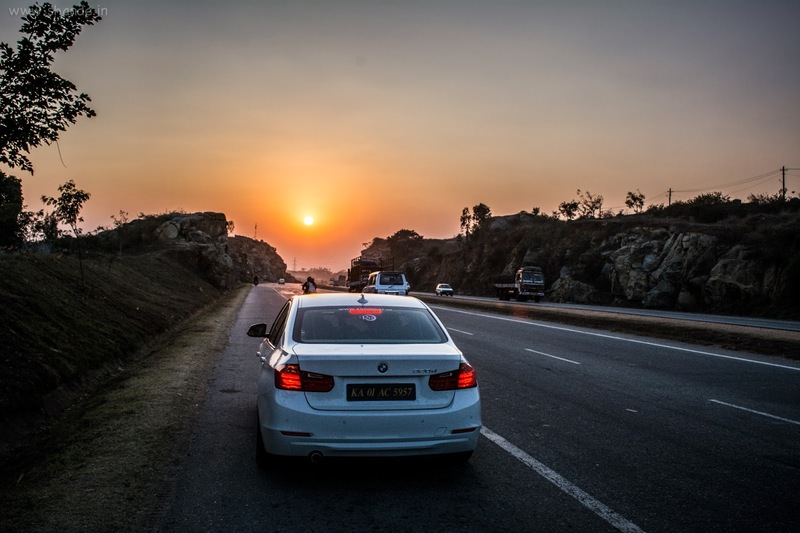 Sharing few sunrise and sunset photos clicked around Bangalore with BMW 320d in frame. We can't be t all places at same time... While trying to get good sunset pictures, we were running out of time. While first few photos came well, it was little late when we reached the last view point, recommended by Raviraj. 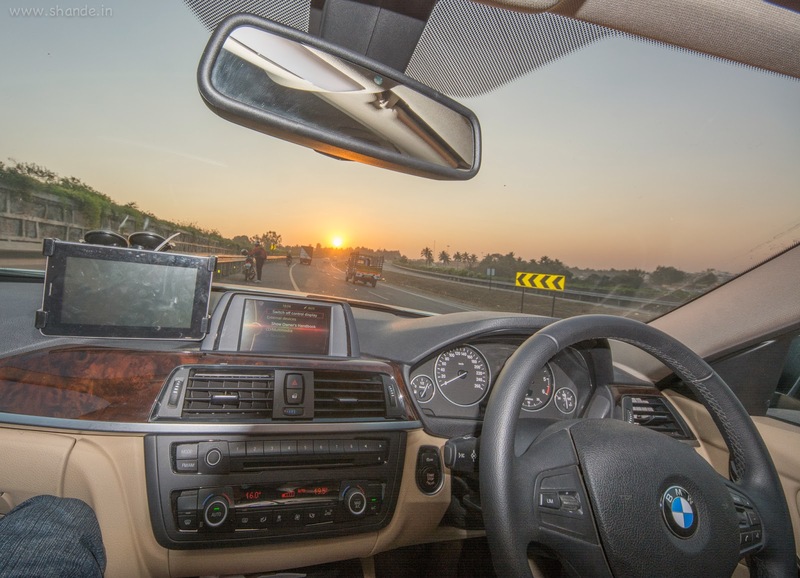 Below photo probably qualifies as a teaser- clicked at Nandi hills during sunrise, revealing only part of BMW's front facade and shape. It was again race against time when we reached Nandi hills- with lots of vehicles in queue to enter (weekend crowd) had very little time left to identify right spot for clicking sunrise pictures. nice shots. like an ad for automobile. lovely sunset, glad you were able to photograph it. Wow! that was a good idea with the car in the frame.